This session, I am introducing Senate Bill 666. This bill deals with joint employment and franchising. This legislation is similar to a bill I filed last year. A franchise is typically a small business operating under the brand name of the franchisor. The franchisor, is a larger enterprise that focuses on product development, brand management and marketing. Examples are found in businesses from fast food to gas stations to janitorial companies. The key to franchising has always been that the franchisor and its franchisees are legally separate businesses. Franchising has been a critical part of the small business landscape in the United States since the mid-19th century, when Isaac Singer invented the sewing machine and created franchises to distribute his new product. In Missouri alone, the economic impact of franchising is enormous, with 17,000 businesses paying $6 billion in payroll to 178,000 employees. Franchising plays an important role in our state’s economic prosperity. In 2015, in the Browning-Ferris Industries decision, the National Labor Relations Board (NLRB) dramatically changed the rules for American small businesses. The Board replaced a clear, bright-line rule as to who is and who is not a “joint-employer” with a vague, multi-factored test that resulted in increased litigation. With this change, small business owners who owned franchise businesses could be held jointly liable with a brand name franchisor. Before 2015, the NRLB only recognized two separate businesses to be “joint employers” if a putative joint-employer exercised “direct and immediate control” over the employees at issue. This important, decades-old standard of interpreting the relationship between joint employers was fundamentally changed however. The 2015 standards eroded the traditional independence between small business owners and their franchise brands. Some franchisors might decide to exercise greater control over wages, hiring and other aspects of employment, essentially making individuals who thought they owned their businesses little more than company employees. Other franchisors might take a hands-off approach and no longer offer their franchisees valuable services and advice. It might also result in unions demanding the opportunity to bargain with the nationally branded company in any dispute with a local, small business owner. Fortunately this month, the current NRLB reversed the 2015 decision. Nevertheless, state legislatures still retain control over the standard by which state employment law is enforced. A number of states have enacted legislation that clarifies the definition of the employment relationship. This can help ensure that state agencies and courts do not adopt the expansive, new joint-employer standard adopted by the NRLB in the Browning-Ferris case. SB 666 simply says that neither the franchisee nor the franchisee’s employees will be deemed employees of the franchisor according to the traditional standard, unless the franchisor exercises direct and immediate control. I believe this is necessary to ensure that our state and our businesses continue to grow and prosper without excess litigation and regulation. 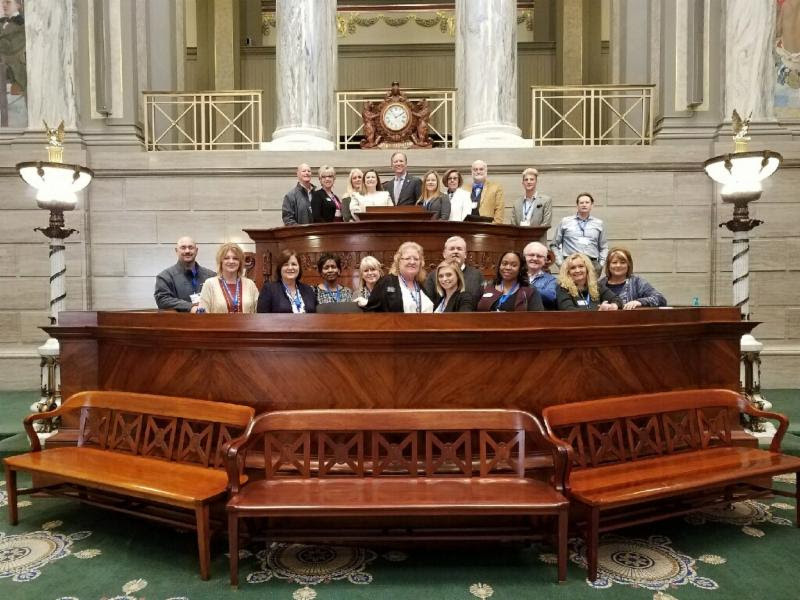 I was honored to meet with visitors from St. Charles County in the Missouri Capitol this week. 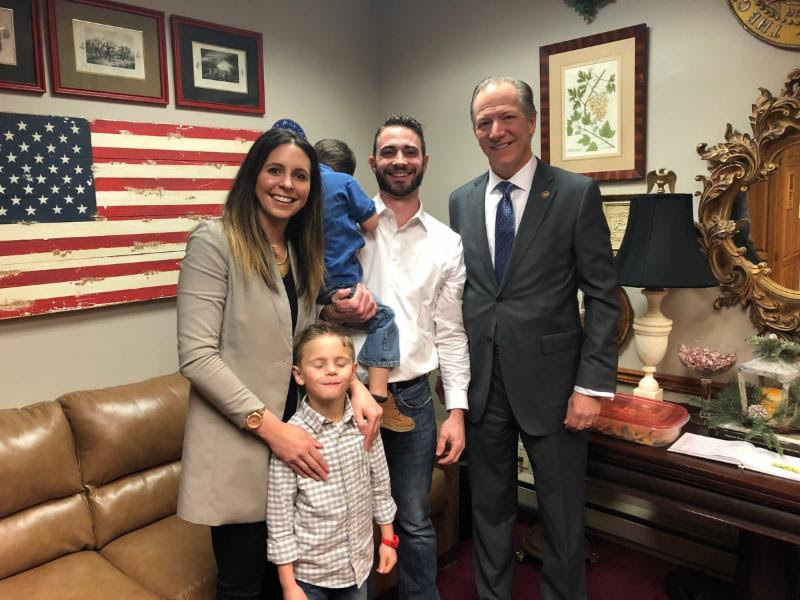 The Gillett family from Wentzville stopped by for a visit. The St. Charles County Realtors Association. As always, it is my honor to serve you in the Missouri Senate.